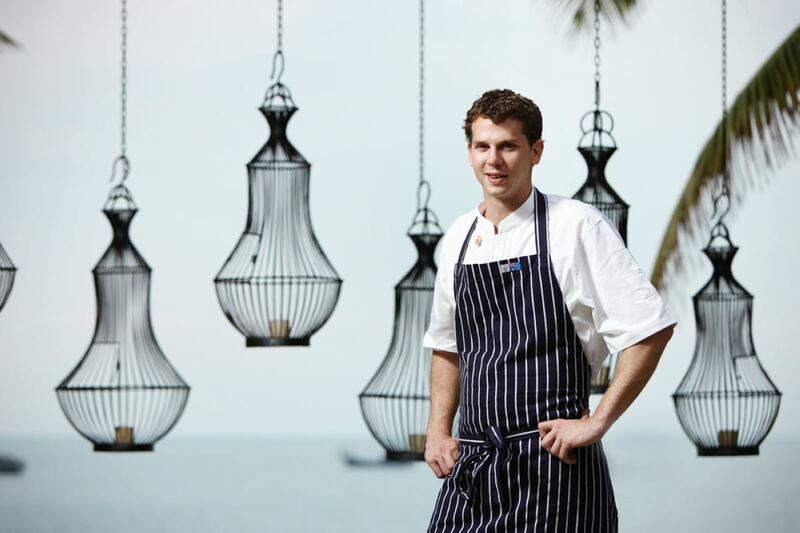 With over 12 years of experience in some of the most renowned restaurants in Australia and the United Kingdom, Chef Shaun Langdon has recently joined Mandarin Oriental, Sanya to lead the team of chefs at the resort’s signature Fresh Restaurant & Grill. Hailing from the South-East coast of Australia, Shaun has always had a passion for cooking. Born into a family of fishermen, he was exposed to seafood from an early age, and it is seafood which remains the primary devotion in his cooking today. Determined to pursue his love for all things culinary, Shaun accepted an apprenticeship at the age of 15, first with Italian chef Danny Russo at L’Unico restaurant in Sydney, and then with English chef Matt Kemp at Restaurant Balzac in Randwick, New South Wales. His talents were soon noticed by legendary culinarian Peter Gilmore, who offered Shaun the position of Chef de Partie at his celebrated Quay Restaurant on Sydney’s picturesque harbour. Having honed his skills during two successful years at the Quay, Shaun decided to venture outside of his native Australia and moved to the United Kingdom where he worked for master Sommelier Gerard Basset at Hampshire’s Hotel Terravina and also as head pastry chef in Coombe Abbey Hotel in Warwickshire. In 2009, Shaun was tempted to return to his homeland to run the exceptional Surry Hills bistro Bird Cow Fish. Awarded with one ‘Chef Hat’, Australia’s equivalent of the Michelin star, Shaun helped the restaurant go from strength to strength during his two year tenure. In joining Mandarin Oriental, Sanya, Shaun brings his flair and enthusiasm for seafood to the shores of the South China Sea where his unique cooking style and flavours are sure to surprise and delight even the most seasoned seafood aficionados staying at the luxury resort.